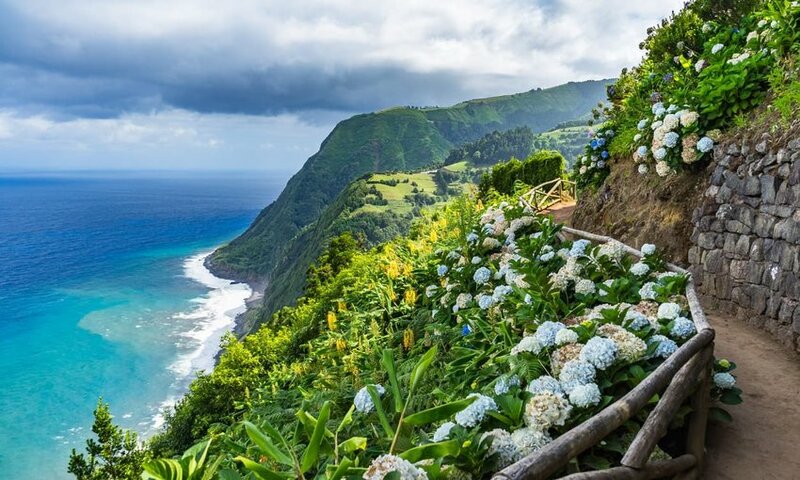 From rolling green mountains to impossibly blue water, we are seeing pictures and hearing about the Azores more and more these days. 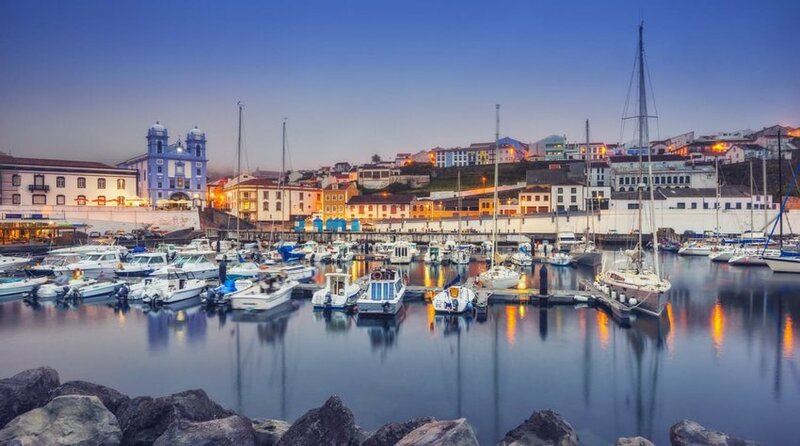 This 9-island archipelago sits in the mid-Atlantic off the Portuguese coast. There Nature created a place of outstanding beauty, and Portuguese colonization and settlement made its mark on its culture. And now more people are beginning to visit this autonomous region of Portugal. Only 1 of the 9 islands is missing a volcano, that is Santa Maria,across the rest of the island group count 26 considered active or dormant. The good news for 21st-Century tourists is that most recent eruptions have been of the subterranean kind, though earthquakes are more common. 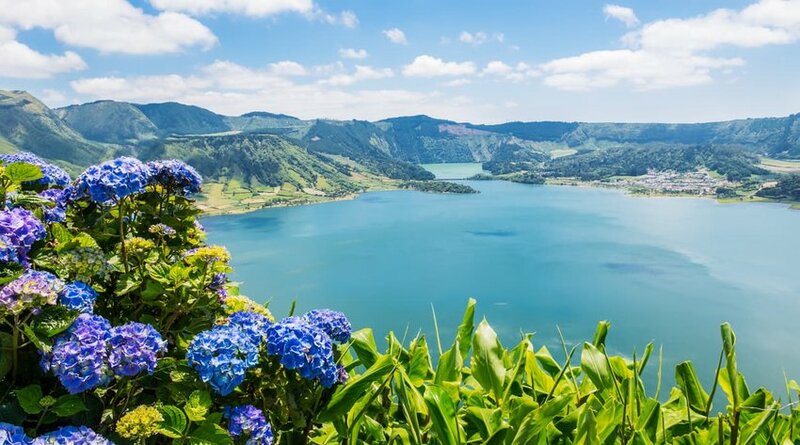 Sete Cidades caldera is one of the most photographed sights on São Miguel its twin lakes, 1 blue and 1 green, separated by a narrow strip of rock make for stunning photographs. Make your way to Vista do Rei viewpoint for that panoramic shot. Do not stop there. If anything, the path to the Miradouro da Boca do Inferno is more breathtaking. 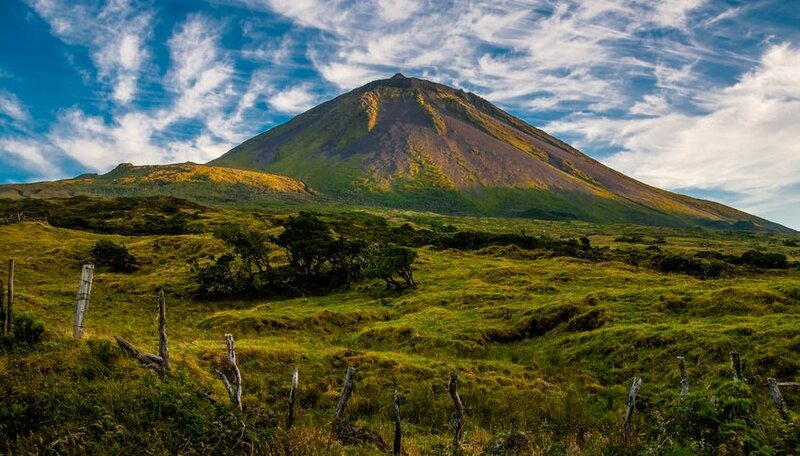 Mount Pico, which dominates the island of the same name, stands 7713 ft above sea level, which makes it the highest point not just in the Azores, but in Portugal as a whole. The volcanic cone by itself is 70 meters high. It is a challenging but popular hike, you can cheat a bit, and get about halfway up by car. The many vineyards at the base of Mount Pico are an indicator of the soil fertility, try the wine, see just how good it is. 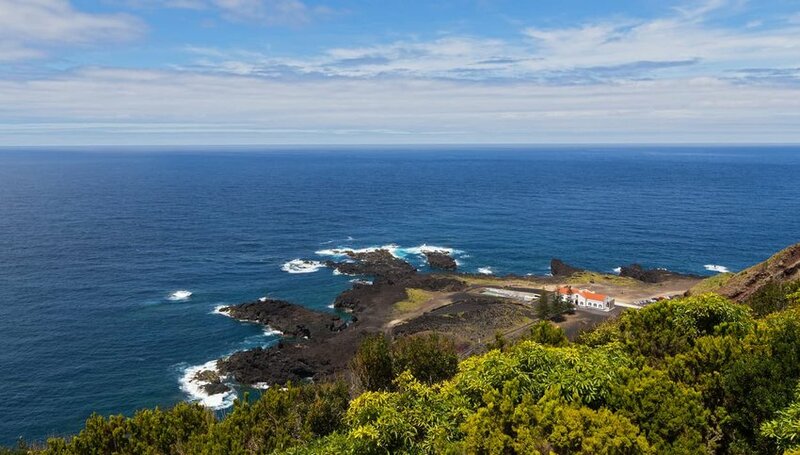 Another volcanic peak worth checking out is the Bocas de Fogo on São Jorge Island, whose name translates to “Mouths of Fire”. The archipelago provides a number of opportunities for visitors to take a dip in a hot spring. Hike down to Ponta da Ferraria, a small cove dwarfed by towering cliffs. The ocean here is naturally heated by a geothermal spring beneath the surface. Imagine topping up a bath that’s gone a bit cold and feeling the hot water with your toes, now supersize it and you have Ponta da Ferraria. It is best between high and low tide, so time your visit accordingly. 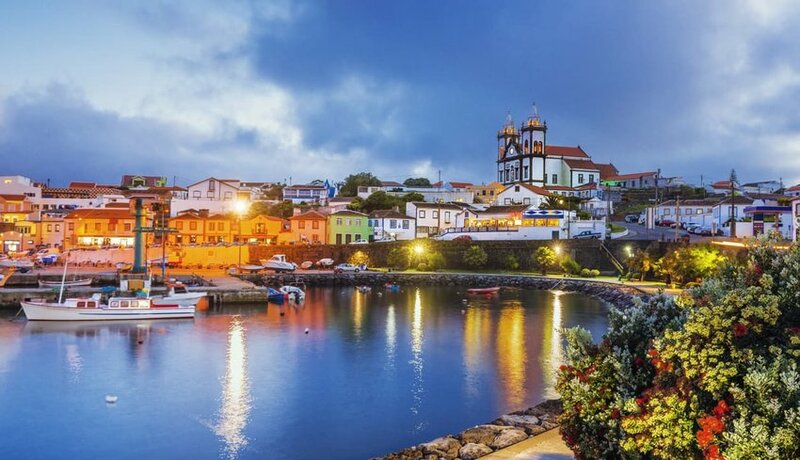 São Miguel is also find the tiny Termas das Caldeiras, a good alternative to the busier Caldeira Velha which attracts tourists by the busload. Walkers are well looked after in the Azores, and thrill seekers looking for something a little less tame will be spoiled too. São Miguel, São Jorge and Flores offer canyoning options, with the latter providing the most choice when it comes to an itinerary for every level of skill. With so many waterfalls cascading into ravines, it does not get much better than this. Mountain bike trails criss-cross the islands, with the exhilaration level up to the individual, so go as wild as you like. Add to the mix SCUBE diving, surfing, horseback riding and kayaking and whether you opt for land or sea, there are plenty of opportunities to keep your heart pumping. The cheese in the Azores is so good, they export 50% of it to Portugal. Make your way to the island of São Jorge which specializes in its production, particularly a tangy hard cheese made with raw milk. The island’s altitude suited the rearing of dairy cows and the presence of immigrants from Flanders sped the process along in the early days. The landscape bring forth Cozido de Furnas, a rich stew slow-cooked in the ground in specially dug fumaroles. Tropical fruit is prevalent, particularly on São Miguel where you can find a pineapple plantation. The fruit was introduced when the orange groves were hit by a blight in Y 1860. 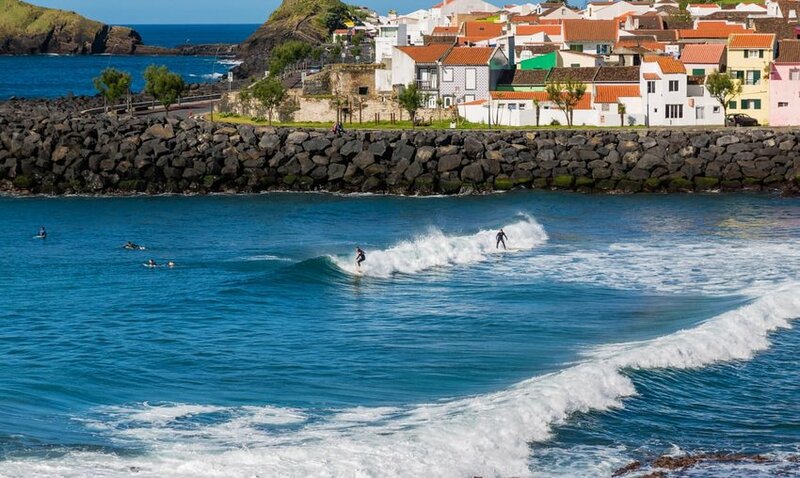 Given the proximity of settlements to the sea, and fish is featured prominently on an Azorean menu. Ribeira Island is known for its cracas, a type of barnacle which is served boiled, chilled and eaten with a pin. Angra do Heroismo is a good place to find them if you are up to eating them, they are very good.